The nomination papers of chairman Pakistan Peoples Party (PPP) Bilawal Bhutto Zardari and Pakistan Muslim League-Nawaz (PML-N) President Shehbaz Sharif have been approved for their respective constituencies for the upcoming elections 2018. 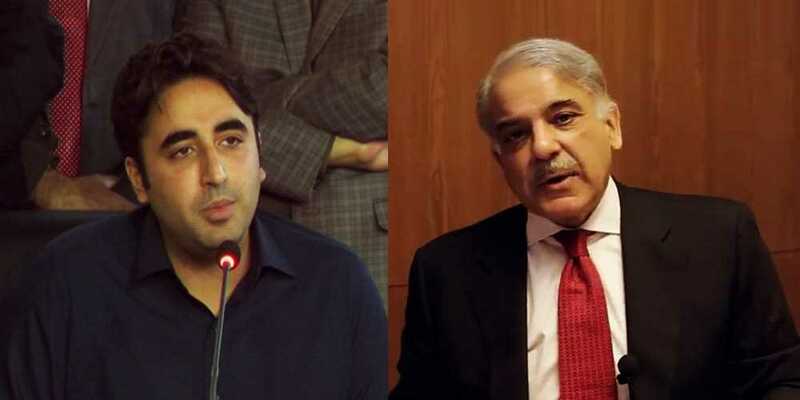 The nomination papers of Nawaz League president and former CM Punjab Shehbaz Sharif for NA-132 (Lahore) and Bilawal's nomination papers for NA-246 (Karachi) have been approved. On the other hand, the nomination papers of veteran politician Javed Hashmi's candidature for NA-155 (Multan) has been accepted. While, on the other hand, Nawaz League’s female leader Maryam Nawaz's contention for PP-173 has also been approved. Nawaz League leader Malik Ahmed Khan’s nomination papers of PP-176 candidacy has also been approved. Jamiat Ulema-e Islam (F) chief Maulana Fazlur Rehman’s nomination papers for Dera Ismail Khan’s NA-38 and NA-39 have also been accepted. MQM-P leader Muhammad Hussain Khan’s nomination papers for NA-245 have also been accepted. Furthermore, the nomination papers of Asfandyar Wali’s for NA-24, PTI’s Muhammad Ahmed Chattha from NA-79, Shabir Akram Cheema from PP-51, Advocate Aijaz Cheema from NA-79, N-league’s Nisar Cheema from NA-79, Adil Baksh Chatha from PP-52 were also approved. It should be noted that today is the last day for the scrutiny of nomination papers. The process will continue until 4 pm.